Android N is yet to be officially named later this year, but it was already detailed last month. It offers multi-window (split-screen) multitasking, improved Doze mode, better notification handling among others. The Android N Developer Preview was seeded to Nexus 6, Nexus 5X, Nexus 6P, Nexus 9, Nexus Player, and Pixel C in early March. The Preview even saw its first firmware update in mid-March. Xperia Companion will open automatically. You can return to factory settings at any time by connecting back to Xperia Companion and following the Software repair. 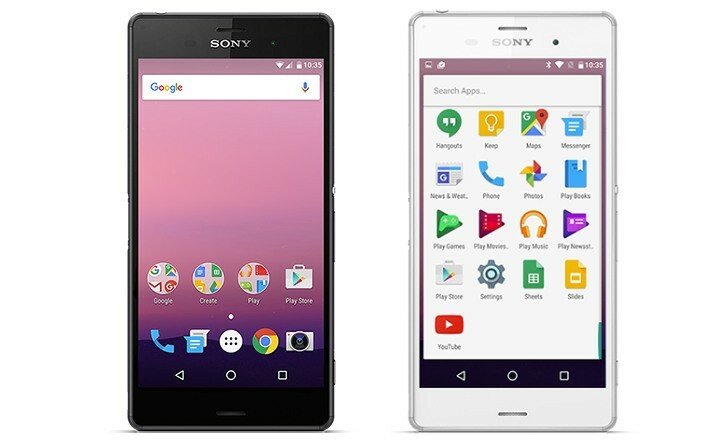 The Android N Developer Preview lacks the Xperia launcher, so you should have that in mind before installing. Plus - it's recommended to install it only if you are a developer and know what you are doing. Bugs and issues may and will occur, so it's not recommended to use an Xperia Z3 running on Android N as your primary phone. That being said, feel free to share your experience in our comments section.